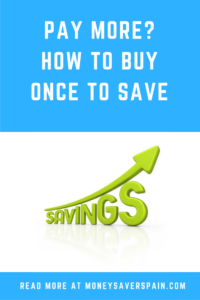 It’s often so much easier to buy a cheap substitute than save for something that will last a lifetime. However there’s a growing backlash against the throwaway society, we’ve taken a look at items worth paying more for. Given the amount of hours you spend in bed, and if you have teenagers they probably spend twice that number of hours, it makes sense to buy a good mattress and bed base. 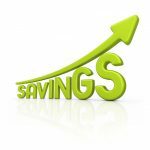 In Spain you’ll be able to find discounts on mattresses and bed bases at most major stores for around 10 months a year. In fact the abundance of discounts means that many consumer experts doubt that the real price is indeed the non-sales price. Don’t buy online unless you know the exact model you want. Test in stores (Carrefour, El Corte Ingles and local bed stores) – yes, that means lay on the bed and test for firmness. Remember that Ikea mattresses and bed bases come with a 25-year limited warranty, but you need to keep the original receipt. What is Spain famous for? Swords! Well, you won’t need those in your kitchen. Take a look at Spanish brand Arcos knives, traditionally made in Albacete since 1745. Knives, accessories, cutlery and more items are available at the Arcos online shop (website in English) or at El Corte Ingles stores. Additionally some reduced Arcos items can be found at Amazon Spain. Le Creuset cast iron cookware comes with a lifetime guarantee (doesn’t cover normal wear and tear). Once again buy reduced items at Amazon Spain or buy at El Corte Ingles when the sales are on. A good pair of scissors or tweezers can make all the difference. For both items visit Tweezerman, Arcos (see knives above) and Amazon. Don’t forget that your local hardware store (ferretería) and some shoe repair shops will sharpen scissors for just a few euros. For carrying daily to work or when you’re out visiting towns and cities in Spain, a good drinks flask will cut down on waste (plastic bottles) and will also keep your drink cool. Visit your local Decathlon or outdoors store and be sure to check out the insulation details rather than the outside design and colour. Also take a look at the Contigo Travel Mug for adults and kids. For Starbucks addicts, remember you get a discount on your coffee if you buy a Starbucks travel mug and take it when you visit any Starbucks. 1200€ for a laptop in a flimsy case? Not a good idea. Invest in a decent case that you can use long after your laptop has been replaced by a newer model. Also why not get a waterproof tablet case that you can use on the beach or near the pool? It will save your tablet from splashes and in some cases can even be used under water. Remember to buy the right size for your tablet. Top of the ratings list are Bose and Beats headphones. Yes they are expensive, but those who understand (not me!) say that you definitely notice the difference. Try and find items from previous years in clearance sales in order to save. Also take a look at Beats safe buying guide for useful info on spotting a fake. Take a look at Buy Me Once for lots more ideas from socks to teddy bears and everything in-between.